Over the past four years, the Ministry of Housing has launched several development axes, starting with the implementation of low-income social housing projects and the Dar Misr project for middle income segments, as well as expanding in offering lands for investments. 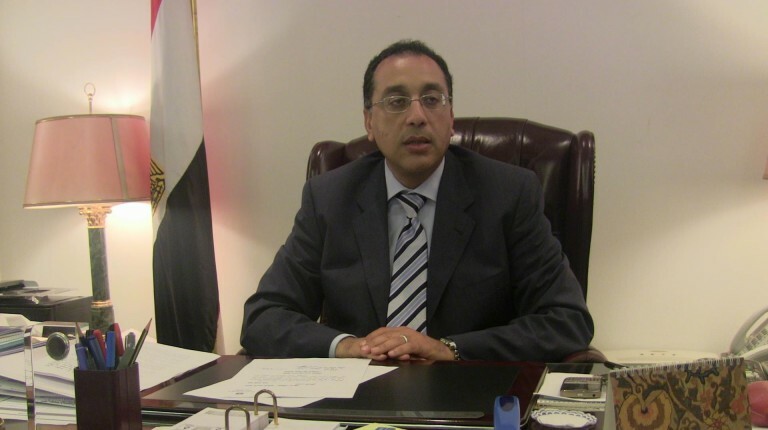 Minister of Housing Mostafa Madbouly, told Daily News Egypt that the ministry has been working on penning the specific legislation for the work of the real estate sector, including the Contractors’ Compensation law, the bylaws of the New and Urban Communities Authorities (NUCA), social housing law, and expanding in offering lands for individuals, along with starting the Sakan Misr distinguished housing project. What is the ministry’s plan to support economic reform measures? The ministry has plans that must be completed in a timely manner within a comprehensive government plan for urban development and economic reform. The role of the Housing Ministry is providing the largest number of units and lands for different income segments and meeting the investors’ demands of obtaining lands equipped with facilities for various investment means. 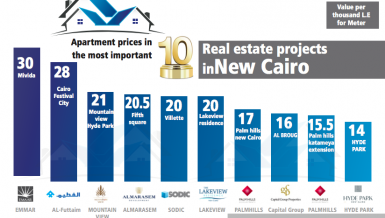 The Egyptian economy, particularly the real estate has faced challenges in the exchange rate and high prices. However, the ministry’s plan succeeded in overcoming many variables by supplying the market with the units and land needed to meet the increasing demand. What are the details of the investment plan of the ministry during the coming period? In the past years, real estate companies complained about a shortage of facilities equipped lands in the new cities. Yet, NUCA managed succeeded in providing areas with various mechanisms to offer opportunities to all companies according to their technical and financial ability. Moreover, NUCA offered, last month, 86 land pieces, including 59 urban development plots at a specified price with areas between 4 and 402 feddans in 19 new cities, along with 14 land plots through closed envelopes auction with areas between 10 and 105 feddans in the 6th of October, Obour, Shorouk, Sheikh Zayed, New Aswan, and New Damietta. In addition, the offering included 13 new land plots for development in cooperation with the private sector of areas from 58 feddans to 2,800 feddan in New Cairo, 6th of October, Sheikh Zayed, and South Marina. Will the new offering succeed in meeting the growing demand in the real estate sector? The new offering is suitable for all segments of the real estate development companies operating in the Egyptian market. We distributed the land plots across several NUCA cities, as part of the comprehensive urban development plan. NUCA’s plan aims to bring in more internal and external investments through offering lands for real estate investment in new cities. This reflects positively on the development of these cities, and provides direct and indirect employment opportunities, since the construction sector has a great role in providing job opportunities. NUCA has endeavoured to diversify the mechanisms of offering. 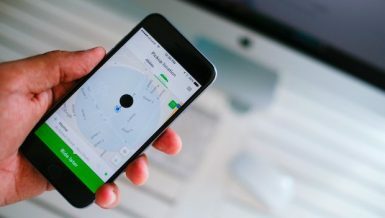 The lands of the specified price are suitable for many segments of the companies that target specific areas suitable for their development capacity and the pieces offered in closed envelopes are left for companies to compete on the offering price, due to their vital locations in the new cities. Will the second phase of the partnership projects succeed in attracting investors to cooperate with the ministry? Partnership lands represent a second phase of the ministry’s success in the first offering, which resulted in the signing of contracts with Egyptian and Arab companies to develop four projects of a total area amounting to 2,000 feddans in New Cairo and the 6th of October cities with investments reaching EGP 150bn. What is your assessment of the ministry’s plan to provide land during the past period? The size of the NUCA offerings last year exceeded the offerings in the past years. In 2016 alone, we offered 80,000 land plots for individuals distributed on the axes of social, distinctive and most distinctive housing projects. The new placement of individual land includes 24,000 plots distributed over three income levels and match different segments. We offered 12,700 social housing lands. The down payment was set at EGP 25,000. We also offered 7,373 distinct housing pieces with a down payment of EGP 100,000. The lands were allocated through public auction. In addition, we also offered 3,930 most distinctive land plots allocated for the highest down payment. Why did the ministry resort to increasing land proposals? The ministry is striving to fight land trade by increasing the number of plots in all new cities to meet the demand of Egyptians from various sectors of society to own lands and to accelerate the development of new cities and provide job opportunities from these targeted projects. NUCA is keen to speed development so it will provide architectural models with all the necessary executive drawings to obtain licenses so that the citizens that win the tender can obtain building permits immediately upon receipt of the plot. What are the developments of the work in the new administrative capital project? The new administrative capital is one of the most important projects that support the state plans in the comprehensive urban development thanks to its large area and its ability to attract Egyptian and foreign investments throughout the development periods. The capital is on an area of 170,000 feddans. The Ministry of Housing estimates the urgent phase investment there at $8bn to develop 12,500 feddans. The Ministry of Housing is prepared to offer 25,000 units in the first phase of the residential district in the capital, including apartments and villas. The area of the first residential district in the administrative capital is 1,000 feddans that include 25,000 units. This is divided between villas and townhouses. 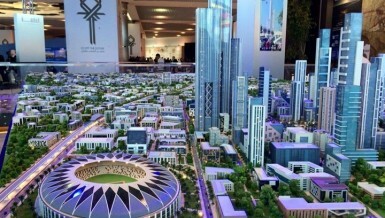 The project is being implemented by the Arab Contractors, Talaat Mostafa Group, Petrojet Contracting, Concord, Holding Company for Construction & Development (HCC), and the armed forces, as well as Wady El-Nile Contracting & Real Estate Investments Co.
Would the project succeed in achieving the development expected by the real estate sector? 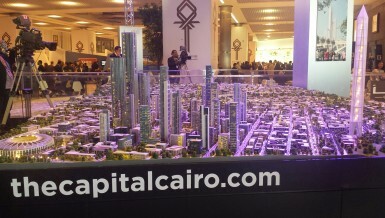 The capital is a development project that aims to create an integrated work environment with a high-quality infrastructure aimed at attracting capital and international companies and providing the opportunity to free Cairo from the congestion resulting from the movement of employees in ministries and government agencies. Cairo will become the cultural, historical, and tourist capital. The area of the administrative capital is equivalent to twice the area of New Cairo and provides land for a period of 50 years. It is a necessity at the present time. Moreover, many Egyptian contracting companies supervised by the armed forces are now implementing the government district, which will include the parliament, the cabinet, and 18 ministries. What about the new proposal for the social housing project? 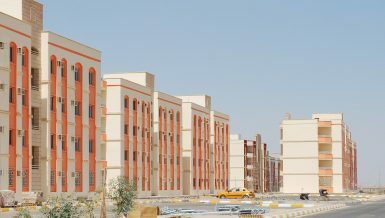 The ministry put forward the ninth announcement for social housing units in 22 governorates as part of the plan to provide low-income housing. We also completed implementing 230,000 social housing units worth EGP 31bn and are now working on 270,000 units worth EGP 42bn. Furthermore, we are implementing the middle-class housing project, Dar Misr. We are finishing up 58,000 units in 11 cities and preparing to implement 100,000 more units. This is in addition to the distinct housing project, Sakan Misr, in which we have offered 40,000 units in six new cities of areas averaging 115 sqm. What are the details of the Urban Development Plan implemented by the Ministry? The government is seeking to develop the new existing cities and create a new generation of new cities to achieve the national plan for the doubling of urban areas from 7 to 11% until 2030. The ministry began implementing the new city of Alamein. What are the details of the project? We are building 1,920 residential units worth EGP 300m in the city of New Alamein, next to preparing the beachfront and infrastructure are a cost of EGP 3bn. The investments targeted for the development of the first phase of the New Alamein amounts to EGP 10bn at an area of 2 million sqm. The ministry is planning to offer projects of large areas to Egyptian and Arab investors for development through partnership with the private sector or selling them the land. The Ministry implements the infrastructure, followed by some projects to confirm the seriousness of implementation. Then, projects and opportunities are presented to the investors besides construction of housing units for all levels. We started with the distinctive social housing. There are some 5,000 ready units as a first phase. We will then establish middle and luxury housing. What are the best ways to exploit the city? The area of New Alamein is 50,000 feddans with a distinctive beachfront of 14 km, which is as long as the Alexandria Corniche. It will include a large number of investment projects and a tower group, hotels, and residential buildings that will be established. The city is funded through NUCA. Several large investors have started negotiating with us and we will present them with our offers soon. The area near the beach was planned as a global tourist area, which will provide 25,000 hotel rooms that work around the year like Sharm El Sheikh. We will start implementing the projects in the first part of the coastline along 4 km and will include restaurants and hotels. What is the ministry ‘s plan to support the construction sector? The ministry contributes to the state plan to increase the volume of construction and construction sector to about EGP 1tn in the coming five years. There is a keenness to support the contracting sector. Therefore, the contractors’ compensation law was issued for the effects that resulted from the liberalization of the exchange rate and the increase in the prices of raw materials. The land offer to real estate companies and individuals increases the size of the construction sector and contributes to increasing the activities of real estate companies in conjunction with the ministry’s plan to develop new cities added to existing cities. What are the details of NUCA investment plan? for the Urban Communities Authority? The investment plan of NUCA in the current fiscal year is worth EGP 31bn. NUCA’s investments increased from EGP 4.8bn in 2012 – 2014 to EGP 7.7bn in the following year, then to EGP 2bn in 2014/2015, then up to EGP 22bn in 2015/2016 and beyond EGP 30bn in the past fiscal year. The increase in the investments reflects on the growth in the number of projects and matches the state plan to provide lands and residential units to individuals of different income levels. How can NUCA solve the real estate sector problems? NUCA is in ongoing negotiations with real estate companies to resolve the crises facing the sector. NUCA’s bylaws have been adopted and we signed a cooperation protocol with the Real Estate Development Chamber of the Federation of Egyptian Industries and formed a permanent joint committee to solve the problems of investors and developers, as well as extracting building permits, ministerial decisions and organizing advertisements for real estate investment units.